My share is that the Railroad Crossing top is all sewn, and just needs quilting. 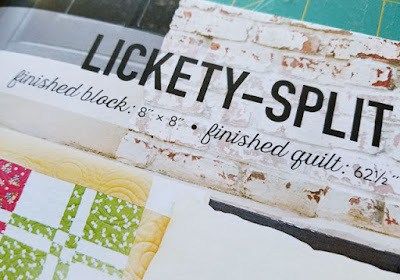 Currently, I'm in the mood to sit and sew, so I dove into another project from the Charm School book, this time, Lickety-Split. For those in the know, the quilt is a disappearing 4-patch, something I've not done yet. 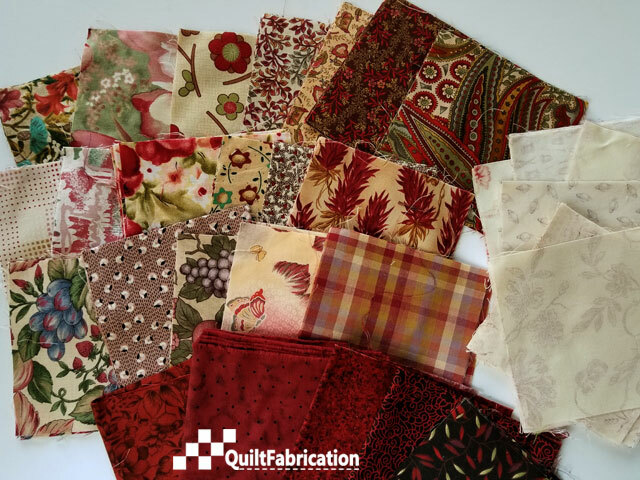 With these pretty charms and bits of fabric yardage, it should be a beauty! And last week, I was inspired by the Spicy Spiral over at DonnaleeQ. Isn't it pretty? I have the rulers to do this and should give it a try. But this one certainly deserves the 'Feature' button this week! Now it's your turn! There's few simple guidelines to follow but they make the party great for everyone. Let everyone know about the party - share with buttons below! Confession...I've never made a disappearing nine patch either. 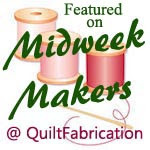 I think the fabrics you chose will be fabulous in your quilt. Ha! Me neither. I should try it sometime when I want to make something fast and fun. I've never made a disappearing 4 patch (or 9 patch) either. I've read that they are quick to sew. I guess that's why your pattern is called lickety split.